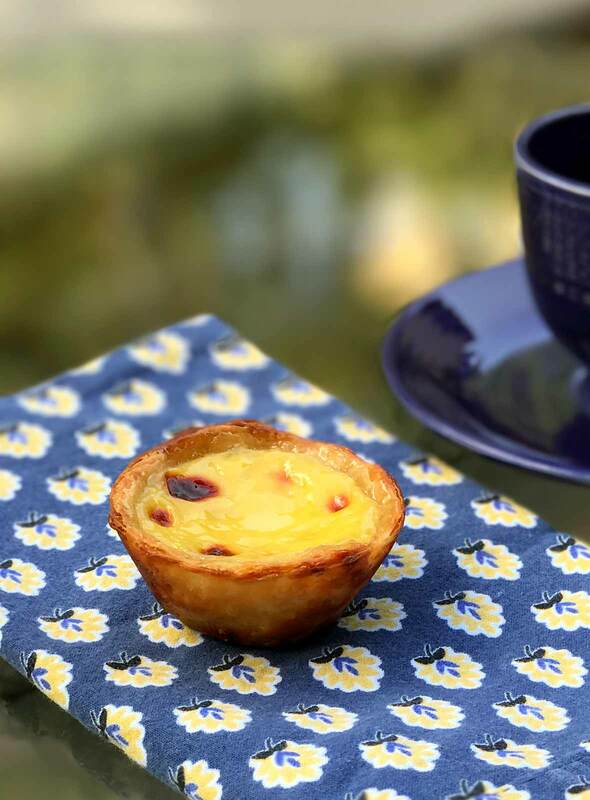 This pastéis de nata recipe makes as-close-to-authentic Portuguese custard tarts with a rich egg custard nestled in shatteringly crisp pastry. Tastes like home, even if you’re not from Portugal. 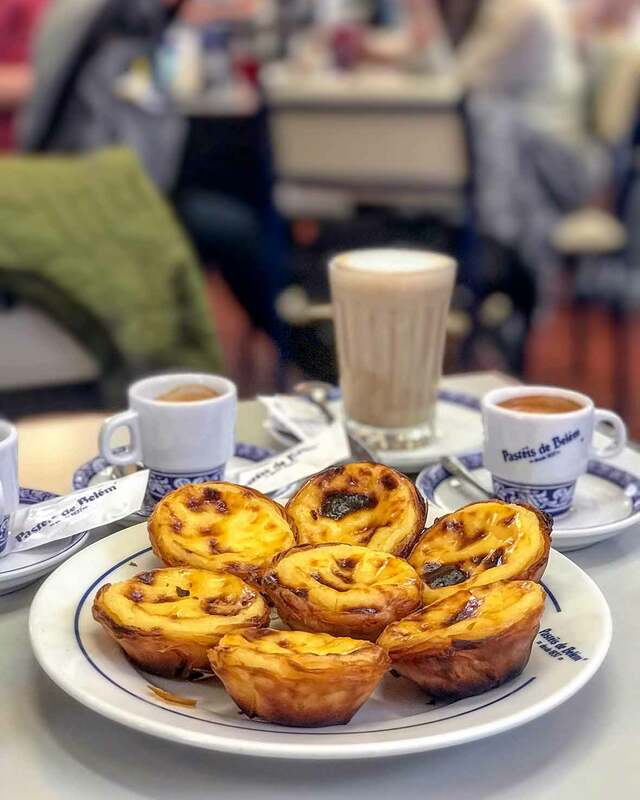 These Portuguese custard tarts are facsimiles of the true pastéis de Belém pastries from the Antiga Confeitaria de Belém (below), where they churn out more than 22,000 pastries each day. When you make that many a day, you get damn good at it. 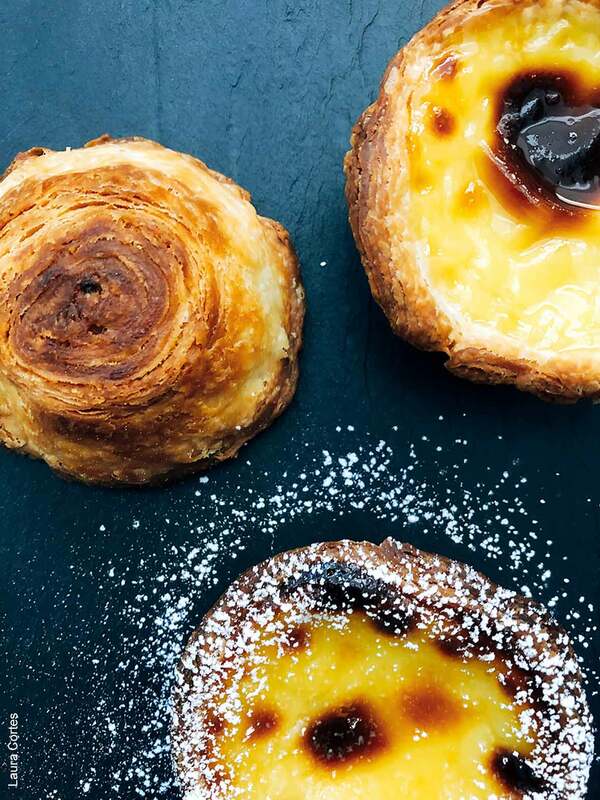 There are all kinds of reasons why the original pastéis de nata from this pastry shop are so freaking good. Secret recipes, teams of folks who do nothing but make the pastry dough or whip up the filling, ovens that blast at 800°F. In order to translate the pastéis to the home kitchen and to ovens that that hit 500°F if you’re lucky, these pastéis are smaller than the original. and the tops may not brown quite as much as the authentic pastéis in the picture, which are from the confeitaria. Still, that hasn’t stopped the flood of rave reviews below. The secrets to making spectacular authentic Portuguese custard tarts at home are few and simple. Special Equipment: Mini-muffin tin with 2-by-5/8-inch wells; If you prefer the classic larger tins from Portugal, you can purchase them at Portugalia Marketplace. 13. Place an oven rack in the top third position and heat the oven to 550°F (290°C). Remove a pastry log from the refrigerator and roll it back and forth on a lightly floured surface until it’s about an inch in diameter and 16 inches long. Cut it into scant 3/4-inch pieces. Place 1 piece pastry dough, cut side down, in each well of a nonstick 12-cup mini-muffin pan (2-by-5/8-inch size). If using classic tins, cut the dough into generous 1-inch pieces. Allow the dough pieces to soften several minutes until pliable. 14. Have a small cup of water nearby. Dip your thumbs in the water, then straight down into the middle of the dough spiral. Flatten it against the bottom of the cup to a thickness of about 1/16 inch, then smooth the dough up the sides and create a raised lip about 1/8 inch above the pan. The pastry bottoms should be thinner than the tops. 15. Fill each cup 3/4 full with the cool custard. Bake the pastries until the edges of the dough are frilled and brown, about 8 to 9 minutes for the mini-muffin tins, 15 to 17 minutes for the classic tins. Pastéis de Nata | Portuguese Custard Tarts Recipe © 2004 David Leite. Photos © 2017 David Leite. All rights reserved. All recipes and photos used with permission of the publisher. 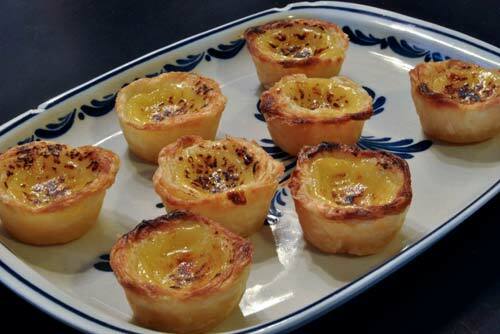 According to my Portuguese dad, I can make these pasteis de Nata again and again and again! I am pretty chuffed with how they turned out since I had doubts throughout the entire process of making these traditional tarts. First of all, Pasteis de Nata are the epitome of the classic Portuguese sweet treat. So no pressure! In following the recipe, when mixing the flour, salt and water in the stand mixer, my dough never achieved the soft pillowy stage I was hoping for or rather thinking what is would be. My dough did pull away from the sides slightly, but remained sticky, hence I feel I should have added more flour which I didn't at this stage. Doubt started to set-in! When working with the dough on the work surface, I needed to add a very generous amount of flour to stop the dough from sticking. At this stage I probably added so much flour that I actually increased the amount of flour added to the dough significantly. I found working with the dough a test of extreme patience! I remained calm (yet doubtful) and just kept working with it gently. I was never able to achieve the 18-by-18-inch square, no matter how hard I tried. It was closer to 14 inches. The custard seemed quite thin and even though the recipe mentioned it would be so I had my doubts it would firm up into a creamy custard. While the tarts baked, the butter bubbled and oozed out of the dough and over the edge of the minis tin causing lots of smoke in the extremely hot oven. I baked the minis for 9 minutes and the custard was set and the pastry was golden brown. I expected the custard to have a brown speckled appearance (like the ones you buy commercially), but it remained an eggy yellow. For the larger tins, I baked the tarts for 15 minutes and they too remained an eggy yellow with a golden brown pasty. To my surprise, the pastry was super flaky and crispy and it had that perfect crackly crunch that is the true mark of a great pasteis de Nata! And the custard? It set and was creamy, sweet, and deliciously perfect. When my Portuguese mom said they tasted just like the pasteis de Belem (the most famous and original Portuguese Custard Tarts), then I knew we had a winner! Talk about the best compliment ever! It was quite a bit of work to produce these little gems, but the end result was definitely worth the effort! This recipe is the real deal and not too complicated. They taste exactly like the ones served up at the Lisboa Patisserie in Notting Hill, London. My only observation is that based on a standard sized muffin tin you’ll only get 24, otherwise great! I tried to make the tarts with the pastry I bought at supermarket. It didn’t come out quite right. The bottom of the tart seems not baked properly. It turned soggy after it got cold. Not crispy and flaky anymore. Is it because of the dough? ron, most likely. The dough needs to be almost quite thin, especially if your using commercial pastry. I find store-bought dough to be too elastic. If you try it again, make sure to make the dough very, very thin and prick it with a fork on the bottom of this tin form. This prevents the dough from puffing up, which will keep it crisper. I had the same problem using puff pasty, then my Portuguese friends told me they use filo dough with a brushing of butter between the layers…it seems to work great. Antonio, yes, phyllo dough will work, but it’s not traditional. Still, any dough in a storm! Have a video on this? Mia, sorry no video on this yet. It’s on my to do list…..
Hi! I made it today but it’s soggy before baked :( why? Lo, what was soggy? Everything is raw, so it should be soggy. I mean the puff will shrink before it cooked :(. The filling was spilled out. Lo, I see. It could be many things. The dough might not have been pulled all the way up the sides of the tin. Or the dough might not have rested enough. Or even the slice you cut may not have been thick enough. I will agree, this is a tricky recipe. 4. Smoke Detectors go off BEEP! BEEP! 6. Fire department comes, we tell them what happened they leave. The smoke came from the 2 STICKS of butter that boiled over, be careful if doing this recipe, or use less butter than recommended. Bremer, my that sounds dreadful! How high was your oven? The 2 sticks of butter is correct, and while smoking can sometimes happen, I’ve never heard of the butter boiling over! I’ve made these countless times and never had that happen. Did you perhaps put too much dough in each tin? I also had some butter spillover and solved the problem with a baking dish full of water placed under the mini muffin tin–as the butter boiled over, it dripped into the water and didn’t smoke. It seems to have made the cook time a bit longer but worth it for a non-smoky kitchen. Great idea, Emma! It cooked longer only because it took more time to heat up due to the water. I’d suggest filling the baking dish with only 1/2 inch of water and placing it on the rack underneath, giving space for hot air to circulate. I am super excited to try these. What changes would I need to make if I wanted to make the full size versions? I assume the filling recipe would remain the same but the size of the pastry log would have to be altered, as would the baking time. Would you be able to tell me what these changes would be? Hi, John. It really depends on what “full size” means. Will you be using the pastéis tins that they use in Portugal or a muffin tin? What I would do is cut a wider slice from the dough log. Press the slice in the tin/muffin tin as specified in the recipe. You want it to come all the way up the sides and extend beyond the top lip by 1/16th to 1/8th of an inch. Once you know how much dough you’ll need to do that, cut the remaining slices the same size. You’ll have to bake the pastries longer; again that has to do with how much larger your tins are. I would check every 2 minutes or so after the initial 8 minutes. They should be just cooked through; they’ll continue cooking as they cool. Hope this helps. Thank you for the quick reply. I apologize for not being clear; however, I was referring to regular muffin tins. I would love to have the proper pastéis tins and will look for them in the near future. I will definitely experiment with the width of the pieces cut from the dough log and keep an eye on the time. Time permitting, I’ll attempt to make these on the weekend and report back! Hi John. With a regular muffin tin, you don’t want to go all the way up the sides, as it makes the pastéis too big. Go a little more than halfway up. Now, if your tin is nonstick, it will be hard to prevent it from sliding down as it bakes and the custard spilling out. As far a baking, I’d try 10 minutes and then check it. When I roll out the pastry log, should it still remain an inch in diameter and 16 inches long or should it be slightly thicker than an inch (perhaps 1.25 inches) since the regular muffin tins have a wider base than the mini ones? Not sure if that makes any sense. I am pretty much a beginner so please excuse what might seem like a dumb question but they actually sell muffin tins that don’t have the nonstick surface? I assumed they were all nonstick. John, not a problem. All you need to do is cut the log in to wider slices. That will give you enough dough to work with. Older muffin tins are no stick. The mini tins I use are nonstick, but the wells are so small, I can kind of anchor them to the rim. My suggestion for success is to bake off 2 or 3 of them as a test. Then make any adjustment you need in the size of the slice and cooking time. David, you have been a tremendous help. Thank you for your patience and taking the time to answer all my questions. I truly appreciate it. John, my pleasure. Now march into that kitchen and bake away! The oven setting at 550 degrees Farenheit is a mistake. I tried the recipe–followed it completely and burned the bottoms and most of the sides. I checked online and 200 degrees Celcius translates to about 400 degrees F. I’ll try again but will reduce the temperature. Luisa, I’ve never had a problem at that temperature. This is the first I’ve hear of it. Are you using the correct size pan–the mini muffin tin? It needs high heat in order to cook quickly and thoroughly. If you’re using full muffin tins (or larger tins), it could burn. Also, do you have an oven thermometer? Your oven might be running hot. Last, are you using convection or regular heat? David, should the oven rack be in the center or bottom rung of the oven, to avoid burning? Maria, I actually place them in the upper third, as you want to get the little burn marks on them. But if they’re browning too quickly, cover with foil and set the next batch on the center rack. I fell in love with these pastries in Portugal so was excited to find this recipe. I just baked them and at 550, the pastry burned and the custard ran all over the pans. I will try these again only baking at 450. I also thought the custard seemed a little sweeter than I remember. Also, when you make the custard it is very runny and I thought maybe I’d made a mistake. It appears to have thickened as it cooked, what didn’t run all over the place. Sharon, how close were the pastries to the top of the oven? That can affect things. (Is 550° in your oven automatically broil?) Is your oven calibrated? Was it the pastry shrinking back or the custard spilling that was the problem? And last question: we’re you using a mini-muffin pan or a larger size? This recipe does have a running raw filling, but it does firm up when cooked. These little gems are really tough to make at home–trust me, I know! Hi David, thanks for your reply. I must apologize for commenting before I tasted the little pastries. First of all, yes the custard is runny and sweet, but after baking it sets up perfectly and isn’t too sweet when you bite it with the unsweetened pastry. Secondly, I did cheat and tried using premade puff pastry and rolled it out and followed your directions. I put the pastry in the tins and then wasn’t able to bake until the next day. I didn’t smoosh the pastry in the tins until it was thin enough and even at 550F, they didn’t get done on the bottom and didn’t hold enough of the filling. Since the pastry was too thick, it probably puffed up too much and spilled a lot of the filling out. Didn’t stop us from eating them though. I cooked the leftover filling on top of the stove and have been sneaking it a spoonful at a time from the fridge :-D I definitely will try them again using your dough recipe. I was trying a short cut and had an epic fail . . . no fault of your recipe! Hey Sharon, well THAT explains it! Commercial puff pastry is much different from this dough, even though they’re both laminated doughs. When you use the dough in the recipe, it’s literally less than a 1/16 of an inch in places, so it doesn’t puff the same way. If you want to use commercial dough, make sure to 1.) make it thin enough, and 2.) dock it by pricking it with a fork. It helps prevent from puffing too much. I am planning on making these for Christmas, and was wandering if you had the metric conversions of your measurements. I don’t mind cups, but “spoons” do throw me. Thank you. Maria, I don’t, I’m sorry. But I find this site helpful. I just viewed the Delicious Destinations show highlighting Lisbon, and the section of the show dealing with these little gems specifically said they are baked at 400 degrees. Cynthia, thanks for writing. I’ve heard all kinds of temperatures for this recipe! When I’ve baked them at 400 degrees, they don’t come out right. And I know when I grilled the owner in Portuguese, he said it was 400°C, which is approximately 750°F–which would incinerate them! I could see 400°F in a powerful convection oven, though. I have a wood oven (commercial bakery) and I am really looking forward to baking these pastries in it – easily able to obtain temperatures over 500F – what temperature would you recommend? Will try to use a standard sized muffin tin as this size suits the tastes of my customers more closely. Dianne, I would try 500/550 degrees to start. There might be adjustments that need to be done for commercial production. As I’m a home cook, I couldn’t tell you what they are! Thanks for the recipe. Can you clarify what is meant by the following, after trimming uneven edges? What is a dot? Grace, certainly. What I mean (and I will clarify it in the recipe now) is to drop pieces of butter all over the dough. It makes it easier to spread it that way, rather than trying to plow through a big hunk of butter. By any chance is you book translated in to Portuguese? Hi, Mariana, no the book is only in English at the moment. I don’t think they are plans to translate it. I can translate to Portuguese for you if you need. Just send material. I will love to cooperate. No charges at all. I’ve loved these lil treasures from a few years ago when travelling in Portugal. Thanks for this recipe I’ll be trying these out this weekend. David I would like to make these for my niece’s bridal shower next week. I was hoping to make them today and freeze and remove them from the freezer the evening before he shower or the morning of. Is this possible with this type of pastry. I have too many last minute things to do the day of and the day before to make them then. The groom is portuguese and I know these are his favourite. Hi, Grace. I think the custard and the pastry would suffer. What you can do is make the pastry and fill the tins. Cover those really, really well and freeze them. The day before, make the custard. then the day of you can simply ladle the custard in the pastry and bake them off. You might need a few extra minutes because everything is cold. I hope this helps, and give my best wishes to the happy couple! Joanna, best of luck with the pastéis! One cup of all-purpose flour weighs approximately 125 grams. Here’s a neat conversion table for all types of flours. 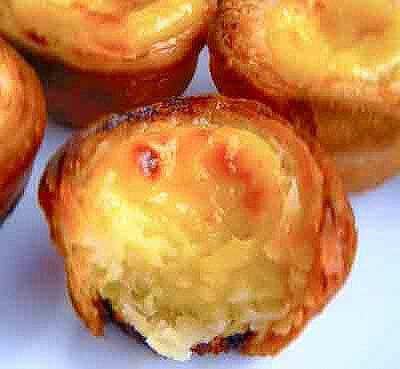 Thank you for your receipe of Portuguese Custard which I found yesterday. I could not wait too long to try it for my family, so I tried to make the dough about 20 minutes ago. I found something strange, and please help me. When I mixed the all-purpose flour with the water (as your recipe suggested), the dough was very sticky. Too much water I think. What can I do now? Thank you in advance. Tim, thanks for writing. All of your math is correct, but you have discovered why so few cookbooks that are converted from U.S. amounts to metric or metric to U.S. amounts work. When I was living in Portugal, it was very hard to convert successfully because ingredients act differently, especially flour. I found that it either absorbed more or less water than my recipes made in the U.S. So my suggestion is to add enough flour to make the dough just slightly tacky, but not sticky. The filling should be okay. That’s really helpful David, thanks so much! My parents came to visit this week, and so I made your tarts thinking my father would like them. The expression on his face spoke volumes which he proceeded to tell my children…how his mother made custard pie in her cast iron skillet. She gave her cast iron skillet to me before she died because I loved to watch her cook in it, but I can’t imagine making the pie in it! She did not have many pans during the depression, so that may be the reason, but I was surprised by his story and wondered how I would keep my crust from sinking to the bottom, the sides are pretty straight. His mother was Spanish and married his father who was italian–so maybe his memories are off a little, he is 77, but I would love to make it for him. Do you think this would work, or should I just stick to the tarts? Either way, thank you for a wonderful dessert and stimulating great memories and family conversation. Hello, Lori. For this recipe I would stick to the tarts. The dough is similar to a puff pastry and would most likely shrink back into the pan. There are many, many recipes for custard pies in cookbook and on the Internet. I’d do a little research, making sure the crust is a classic pie crust, not a puff pastry crust, and I think you might touch your father’s heart. Minh, if the dough hasn’t had enough time to rest (to relax the gluten), hasn’t been chilled properly, or is worked too much while pushing up the sides of the pan it can shrink. Hannah, there is a place called Tucha Gifts on Ferry St. in Newark, NJ. That’s where I get mine. I don’t know if they will ship to Australia. I have never found a place online that sells them. David, Hello. Thank you for being so generous with your time to share all of these wonderful recipes with us. I’m Portuguese, but raised here in the US. Can I use phyllo dough for the crust? Hi Catarina, you can use phyllo, but it won’t be the same. If you want to use a packaged product for the crust, buy a premium puff pastry. Thanks so much for posting this! I had tried a recipe that was a distillation of several videos I saw on YouTube. I did find something that tasted quite good but my problem was that by the time things were browning, the custard filling had boiled over and made a mess. Actually the first batch was looking good after around 9 or 10 minutes but the recipe said 20…yours is just what I suspected, very hot to brown the top and cook the dough before the filling gets too hot. (That and larger tins than the muffin pan I was forced to use.) This looks just right and makes perfect sense. I am so excited to try this recipe. I was born and raised in Newark, NJ. I grew up with these but have never made them myself. Quick question for you, I have some puff pastry in the freezer still can I use this instead of making the dough from scratch? Hi Maria, you can use puff pastry from the freezer, but it has to prepared in a very different way or all the filling will spill as the pastry bubbles up. In my cookbook I have a recipe specifically designed for frozen puff pastry. If you don’t have it, pick it up or check it out of the libary. It’s the longest recipe in the book, but it’s worth it! This recipe is fantastic. Thank you! After visiting Belem earlier this year and gorging on pastries, I’ve been trying to replicate them at home. First few recipes I tried, which called for puff pastry, were disappointing. I’ve made yours twice already and my pasteis were perfect both times. I was reluctant to try making my own dough, but it worked out so well, I may never go back to puff pastry for any tart. With credits to both you and Mr. Rosa, would it be okay to repost your recipe on my blog? I’m so glad you enjoyed the recipe and it worked out for you! I love this little gems. Thanks for taking the time to post this recipe. 1) Does the pastry cook sufficiently considering you are not blind baking, which is what i see many other recipes calling for? Do you take out the cinnamon stick just before pouring syrup into milk/flour mixture. Can you use powdered cinnamon instead? If so, how much? 1. Because the tart are mini–less than half the size of the original–the custard is sufficiently cooked. 2. Good catch. The cinnamon is removed before you pour the hot sugar syrup into the milk mixture. I’ve fixed it above. I have never used anything but stick cinnamon (cassia), which can be used over and over again, so I can’t accurately tell you how much ground cinnamon to use. I’d start with a small amount, say 1/8 a teaspoon, and work up from there. Hi, Tara. The recipe specifies 2/3 cup of water. Wow I was just trying to describe the little Portuguese custards I had when i visited Hamburg in ’06 and then i saw a link to them and wound up here. These were so popular in Hamburg that the Portuguese family bakery had to open up 3 bakeries right next to each other just to try to keep up with demand. I can’t wait to make these at home. Thanks so much for the recipe. Mark, I hope you enjoy them! I’ve been looking for a good recipe like this for a long time!! One problem though, the custard I made was very runny–even when cooked. I triple checked the quantities, and Im still confused. Did I not cook the syrup long enough? Not sure. Ashlee, the custard is indeed thin after adding the syrup and when putting it in the pasty shells, but it firms up in the oven. Was it runny after the pastries came out of the oven? Also, are you using the precise size molds specified in the recipe? A larger muffin tin, or even the tins from Portugal, are too big for this recipe. Natalie, commercial puff pastry won’t work for this method. If you want to use it, it’s best to cut a circle of the dough just slightly larger than the total diameter of the sides plus the bottom of the wells in your muffin tin. Prick the circles all over with a fork, fit them into the tins, then fill them with the custard. As far as a video, that’s a great idea. Perhaps after the holidays. Just wondering why you have to strain the mixture into a bowl after adding the egg yolks and do you use a regular strainer or cheese cloth? What are you straining or ‘removing’? I may have missed something. I want to try making these for my mom who is Portuguese. I am no baker and am nervous about the dough but will try and willing to try again until I get it right! Thank you! Hi Cheryl. Don’t be nervous! Just have faith and plunge forward. You strain the mixture because sometimes if you adds the yolks and the mixture is too hot, you might end up with tiny bits of cooked eggs in the custard. This makes sure that even if you do, they’re strained out. Any fine strainer works well. David: I tried your recipe for the first time this evening. It was a difficult recipe but I managed. I wanted to say that I am deeply pleased. My grandmother Ramona died twenty-five years ago and I did not have her recipe. I have tried many and this is the first time I tasted one like hers. It took my breath away. Thank you for giving me a piece of my past back to me. Just to let you know I topped mine with fresh blueberries and strawberries and crema. To die for! Desiree, nothing makes me happier! To hear that you retrieved a bit of your past is exactly why I started writing about food, and initially Portuguese food. Unlike you, I could never find (and still haven’t found) recipes that comes close to some childhood favorites of my avó Costa. I agree, the recipe isn’t a snap–but in the end you discovered what I did: it’s a small price to pay to have your grandmother back in the kitchen with you. David, I was born and raised in the Ironbound section of Newark. Moved away about 18 years ago and really miss these little custard cups. Can’t wait to try your recipe. I still have family living in Neward so I’m going to pay them a visit and pick up the pastry tins. Thanks so much for your recipe. They also make a lemon version that I’ve had, have your ever made it and if so can you share that recipe as well. Hi Sandi. If you go to Newark, visit Tucha Gifts–they have the tins. The original confeitaria only serves the plain custard, from what I remember. I do know you can get different flavors at Texeira’s bakery in Newark. Sorry, I don’t have a recipe for the lemon, but I think it would be a matter of just adding some lemon zest to the cooking custard, then straining it out. I was wondering if the milk is whole milk or just regular 2%. Thank you for posting this recipe! Hi Mimi. It’s whole milk. The dessert needs the fat for the proper setting of the custard. Enjoy! Muito obrigado! Foi otimo! Huge thanks, these were awesome! After 20 years of missing these little beauties it’s amazing how making these takes me back to a different time and place! I came across your recipe lat last night and i’m so excited to try these out today, I live in London, England and was very upset when my favourite restaurant ran out last night so I vowed to try and bake my own!! I’ve never made my own dough as its always been easier to buy ready made in the supermarkets. My question is, is it better to make the dough on a marble board as my counter top is not stone? Hello, Tia. I’ve made the dough on marble, granite, and butcher block, so I don’t think it matters. The dough differs a bit from classic French puff pastry, as the butter is room temp, so keeping it cold while making it isn’t as crucial as keeping it cold after the dough is formed into a log. Hope this helps. David, I want to try to make this. I have a pretty packed schedule. So can I make the pastry dough first, wrap it tightly, and refrigerate it for 2 nights? Then after 2 nights, I’ll make the custard and bake them on the same day. Is it possible? Audrie, you absolutely can keep the dough in the fridge. You want it as cold as possible when you start shaping it. This is the only puff pastry recipe I know of that uses an almost 1:1 ratio of flour to water. I don’t know if this is a Portuguese thing or unique to these pasteis, however, there are many different puff pastry recipes that are much easier to work with. Most puff pastries contain water at roughly 55-60% of the flour total (that’s a baker’s percentage). It will make for a much less sticky dough and eliminate the need to so generously flour the rolling surface. Hi, Peter. I got this recipe from a Portuguese baker, who got it from his predecessor–both of whom are from Portugal. It’s absolutely a different dough from traditional puff pastry. And it’s the only puff dough I know of that uses room temp butter. I’m not a math genius, but according to my calculations, the water is 47% volume as compared to the flour (14 tablespoons of water to 30 tablespoons of flour.) It’s not a 1:1 ratio, but almost a 1:2 ration. Baking ratios are typically done by weight, not by volume. So, 2 cups minus 2 tbsp flour is equivalent to approximately 230g of flour and 3/4 cup water plus 2 tbsp is 205g of water. 205gH20/230g flour is approximately 89% water as a percentage of flour (a baker’s percentage). So, it is almost 1:1, if you follow me. I made it both ways and the traditional puff pastry recipe is much better and easier to work with than the method described here. Other recipes for pastel de nata or pastel de belem tend to follow the more tradition 55-60% water as a percentage of flour for the puff pastry. This custard filling recipe is spot on, the flour really helps prevent curdling of the milk under the high heat that the pastel de nata require. Peter, I definitely got your point. And, yes, I measured by volume, my bad. I’ve never had a problem with the dough, though. Did you know that in Belém the dough is made in a log that’s about one foot in diameter and then pulled and pulled until it’s an inch in diameter? I wonder if the extra water helps that process. So tell me, would you consider sharing your recipe for puff pastry so that we can offer it as an option for readers? I’m happy you like the filling. I think it’s quite good. The recipe is same as yours, just less water (if you’re using AP flour, you’ll want 125ml-135ml of water). I also do the traditional butter square thing as opposed to this room temperature spreading stuff. It’s not really my recipe, just a basic puff pastry recipe you’ll find in almost any culinary guessing book. There’s also an America’s Test Kitchen episode where Julia (one of the cooks) builds the puff pastry using a jelly roll pan and parchment paper making it virtually impossible to screw up. As for the stretchiness, as far as I know, the elasticity of flour is affected by only the gluten content and the amount of kneading (and to a lesser extent, things like salt and acid). Typically, puff pastries are kneaded very little so as to avoid gluten development, some folks even recommend adding a bit of acid to keep the gluten from developing. I imagine an expert pastry baker would be the person to consult on this sort of thing though–as I understand it, those Belem bakers are rather secretive with their recipes. Secretive? Secretive?! The dough and custard are made behind a locked door at night. I did discover they also use a fat that isn’t 100% butter. I forgot the name, but it can be bought in Portugal. But I assume you roll your puff, cut it into 1-inch nubs, and turn them on their cut sides in order to thumb the dough up the sides of the tin? Ola David, a gordura que eles usam em portugal para a massa folhada dos pasteis de nata e margarina para folhados. Olá, Maggie. Em Portugal eles usam um produto similar a margarina. Eu não sei a real composição do conteúdo de gordura, mas tem um ponto de fusão mais elevado do que a manteiga. E faz um bolo mais esquisito. Mas elas única coisa é que é um transfat. Ola David, desculpe de incomodar mas sera que me podias esplicar a causa de a massa folhada encolher quando vai para o forno ? e que ja me passou varias vezes e o creme entorna e os pasteis ficam perdidos. outras vezes ficam mesmo uma maravilha. Obrigada. Maggie, obrigado pela sua mensagem. Retracção é causada pela massa sendo manipulado muito. 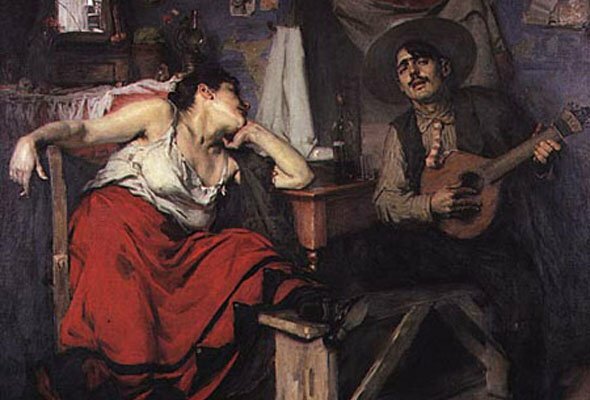 A massa precisa descansar na geladeira o tempo suficiente para que o glúten pode relaxar. Além disso, quando você está moldando a massa até os lados da estanho de cozimento, certifique-se de não puxar muito nisso, ou ele vai encolher. Você também pode cortar os pedaços de massa um pouco maior para que você tenha mais massa para trabalhar com comk. Espero que ajude. Yeh, the nubs vary a bit depending in width depending on the roll, but usually with my mini cupcake pan it’s 1/2”-3/4” thick. About the mixing the fat–I bet they don’t use butter at all, but rather leaf grade lard (or a mixture of the two as you say). I’ve never worked with leaf lard or even seen the correct cuts of fat to render into leaf lard (it comes from around the kidneys, not the fat back from above the shoulders), but it is supposedly the holy grail of pastry cooking fats. You often hear chefs in the States talking up European butters, especially for puff pastry, because it contains less water and more fat than American butters. I don’t know why exactly leaf lard is supposed to produce such flaky pie crusts and shatter-tastic croissants, but it’s probably got to do with its even higher fat and lower water content. I can say for sure that it’s not leaf lard or regular lard. It’s actually a margarine-like product. It’s very yellow. My guess is it’s a combination of butter and some form of hydrogenated fat. Not from the recipe from the Monastery of Jeronimos! My guess–and I can’t confirm this with anyone at the confeitaria–is that it was a 20th-century tweak. It’s called margarina para folhados, which is, apparently, different from margarina para bolos, etc. Hi David. I love your blog. I have made your almond torte and absolutely loved it. I have made it twice and it was a hit with everyone. Now this is my second time making the pastéis. The fist time i made it with 2% cuz it was all i had, plus a little heavy cream for a thicker consistency. they came out tasting great just a little too runny so this time i made it with whole milk and they are still not how they should be. i really would like to master this. what am i doing wrong? 1. should i reduce the water for the syrup and just make it 1/3 water? 2. should i use cream instead of milk? My oven only heats up to 500 degrees so i leave them in there for a few more minutes. Also, i am using phylo for the cups. i will finally concur my fears and make the dough as soon as i master the custard part first. Hello, Regina. Sorry to hear the filling was runny. I wouldn’t change or substitute anything, as baking is chemistry and all the ingredients work together to make the filling the right consistency. First make sure you’re using the right type of milk, the exact amount and right type of flour, and the right size eggs. These all contribute to the thickening of the filling. I would also use the dough specified in the recipe. All of these substitutions have an effect on the final product. Second, I would also make sure to use a correctly calibrated thermometer. Different reactions happen at different temperatures, and if you haven’t gotten the mixture up to the right temperature (or over shot it), that could also affect the results. Third, keeping the pastries in longer is fine, but it may take longer than just a few minutes. To find out the perfect timing: follow the recipe exactly using all the proper and called-for equipment then bake a batch, removing a tart every minute or so after the full baking time. (So you’d have a pastry removed at 9, 10, 11, 12, 13, etc. minutes) Let them sit until slightly warm. This will tell you precisely at what time the pastries are done for your oven, since it can’t reach 550°. I just wanted to know if one can freeze the Pasteis de Nata once they are baked and the just defrost and reheat them a little on another day. We wanted to make them for a school fair and obviously needed to many to bake on the same or even two days. Thank you. Maybe I did not read this carefully enough. How many turns for the puff pastry? Thanks David. I just got back from Portugal two days ago and have been craving these tarts. I can’t wait to make them. Thanks for sharing. Candice, welcome home. These are addictive little devils. Please let me know how they turn out. It says bring the cinnamon, sugar, and water to 100°C. DO NOT STIR. So is it OK if all sugar doesn’t melt? Or am I doing something wrong? Hi Ben, the sugar needs to be dissolved entirely. What kind of sugar are you using? (I see that you’re in the UK.) When you try it again, make sure the sugar is completely submerged in the water, and if necessary, give it a few gentle stirs with a spoon. That will help. P.D. Would it be possible for you to share the full version of Alfama’s recipe (the one not adapted for home ovens?). Colette, thanks for writing. Cornstarch is notoriously finicky. If overcooked, it turns runny, as you noted, and there is nothing you can do to fix it. And that’s what I think is happening to you. Flour is more stable and creates a thick custard, so I suggest you go with that. I don’t have the full recipe from Alfama, because right from the beginning, we scaled it down for the home cook. But all we did was scale it down. This recipe is the Alfama version. Please let me know how it goes. Hi David! I’ve just seen your reply! Thank you so much!! i tried it with flour and it seemed to work well..so I’m sticking to it! :) Thanks again! I have a question with regards to the custard. After whisking in the eggs, is the final result supposed to be quite liquid? Hello Nustrat. Yes, the uncooked custard is very liquid-y. The cooked custard firms up nicely. Let me know how they turn out. The custard did set but it set too much because I notice that it did not move as much as the ones I ate. My pastry did not turn out very well either because they did not grow and was not fluffy:( but they were eatable! Also I did half the quantity of the custard and it was a little too sweet. But I did not give up!!! I am trying again this weekend :) will let you know. For my pastry, I noticed that when I had them in the spiral and pressing them in the pan, I could feel the butter. Is that normal? Hi Nusrat. I’m sorry they didn’t turn out well. These are mini-pastéis and will be a bit different. They’re supposed to be made in a small muffin tin (see special equipment above). That makes the pastry crisper than those in the confeitaria. A suggestion: perhaps make these in a regular-size muffin tin. That will allow more dough in each well and that means the dough has a better chance to puff more. Also because the pastéis are bigger, the custard won’t cook as much. I’m here to help you. But I’ll admit I’ve never had a homemade pastel that was like those in Portugal. You’ve inspired me to get back in the kitchen and revisit this recipe. I’m having real trouble getting the dough rolled out to an 18-inch square as specified – it’s very thin and sticking to the surface no matter how much flour I use (and I don’t want to overdo it on the flour for fear of making the pastry tough). Do you have any tips? When I try to scrape it from the surface with the dough scraper it’s just ruching up in places, tearing in other places. The dough doesn’t feel excessively wet or sticky though. Hi, Ruby. I see you’re writing from the UK. That in itself may be part of the problem. I find it irksome that flours, as well as some other baking ingredients, differ from country to country. The first thing I’d try is to roll out the dough to the size that works for you. Forget about yield at the moment. Our goal now is to get it working so that you can then make any volume adjustment later. Fire off a batch and see how they fare. It might be simply a matter of differences in measuring the flour. In the US, we prefer, sadly, volume, where elsewhere in the world,the more precise method of weight is the standard. If that still doesn’t do, write me back and we’ll get to the bottom of this. We have some testers in England who might be able to lend their expertise. I stumble upon your website looking for the perfect pastéis de nata recipe because I used to eat them at Nando’s (Portuguese resto franchised here in the MidEast). There are a lot of websites that offer the same recipe, but I was interested in your because of the small quantity with a sure-win taste! I was really amazed when I tasted them! They were really wonderful! And…yes the are little devils to the diet! From now on, this will always be one of my top desserts to cook. Now, I am trying your Katherine Hepburn brownies. I was wondering if one day you could also make a recipe for honey cake. Since i’ve been researching it…just can’t comprehend other websites. God Bless on your passion for cooking!!! Thanks!!! Faye, what a lovely thing to say, thank you. Yes, I find these little devils to be not only detrimental to the waistline but also to the will. Which is why I make them only when I have a crowd coming over. I’ll take a look at bolo de mel (honey cake). It wasn’t may favorite when I was in Portugal, so I didn’t include it in my cookbook or on the site. But perhaps I can come up with something that will satisfy us both. I am also wondering how to make it stick to your teeth..because after it is cooked the pastry is really crackling! I mean..-sharp…like that. So I put it the dough in the fridge and about the 2nd day it turned out the way I wanted. The opposite of crackling pastry. I dont really know how to say it, but I wanted it that way. Not super crispy! so it was my preference. =) thanks again! Sure thing, Faye. I think by letting the dough rest in the fridge for 48 hours, it hydrated and made it a bit softer–crisp but not crackling. I’d love to make these, as I was in Lisbon recently and visited the shop in Belem. However, the recipe is quite large for how I typically allow myself to indulge in sweets. Would halving the recipe work? I know that with cooking one can be inexact and improvise, but baking is more sensitive to the variance in chemistry. Additionally, beyond the ingredients, would the rolling measurements still apply or would a best guess in area in regards to the thickness make sense? I hope things are well for you! Thanks in advance! Heya, Jablonski. My suggestion is to make the full recipe. You can use how ever much of the dough you want and freeze the rest. Same for the filling: it will keep in the fridge for at least a week. That’s what I do. Otherwise, you start to fiddle with smaller amounts, and that can be hard. Not sure what you mean by the rolling the dough and its thickness. Can you give me more detail? Thanks for the quick reply! If you had a suggestion for whether or not halving the recipe would work, I was curious if the lesser quantity of dough would need to be rolled into different dimensions for buttering and cutting or if I attempt to achieve the dimensions posted. Jablonski, I see what you mean. Yes, they would have to be rolled to different dimensions, because there’s less dough. The dimensions would depend upon how much dough you used, which is way too confusing. My advice is to make the whole dough recipe up until you slice the log. Because the dough will have been rolled and shaped properly, all you need to do is cut off the number of dough rounds you need, fit them into the tins, and freeze the rest. Easy peasey. Thanks, I realize I was over complicating it now. That’s a great idea! Thanks. Jablonski, no problem! That’s what I’m here for. My husband made pasteis de nata from your recipe and they came out SO DELICIOUS!!! So close to what you find in Lisbon!!! Great recipe!! Thank you!! =) Feliz Natal! Angela, nothing–I mean nothing–makes me happier. Thank you for your kind words, and tell your husband, meu prazer. Have also had this recipe bookmarked for “some day.” Yesterday was that day, and they turned out beautifully. My Tia (Aunt), age of 91, Portuguese and never a baker, had the surprise of her life today when I brought these to her. Of course, my husband and I did taste test them yesterday just to make sure they were good. I have a cousin coming from Portugal in February for a visit and I will make them again. Thanks for sharing. How wonderful to hear, Helena! Thank you. Please give your tia um grande abraço for me. And I wish you, your husband, and tia a wonderful Christmas! David what is the book’s name I would love to have a authentic Portuguese cook book. And yeahhh this is a recipe I’ve been looking for all my life others make u make a thick pastry cream stove top, I am soooooo trying these today, and cavacas request of my husband. christina, there isn’t a book with this recipe. I got it from the restaurant Alfama in New York City. These are an adaptation, as they’re made in a mini-tart pan, not the traditional pastéis de nata tins. Hi my name is Tina, I have a question to ask you. May I ask what kind of flour will I use for my Portuguese Custard? Thank you for your time take care and have a wonderful day. Dear Tina, I use all-purpose flour. I like the King Arthur brand. In the UK we use plain flour or self raising flour. What is ‘all purpose’ flour, I’m guessing plain flour and what the heck is King Arthur brand? Never heard of it. And we don’t use cups, we use grams. For liquids we use ml (milli litres). If you converted your measurements to the international metric standard it could be used by all, including those little corners of the world outside the States like, er, Europe! rich, thanks for the input. King Arthur Flour is a popular brand in the US. And as far as the length, folks who are new to baking have found it a comfort! Hello. I would love to try this recipe i saw an interesting one on a website by a Portuguese lady, she actually cooked the flour and some of milk together first to create a thick paste then added the egg yolks sugar syrup and milk which had been simmered with the cinnamon and lemon. I have tried many versions of this and filling wise i found the method of pre cooking the flour was pretty good texture wise. Although my main issue is the pastry, it’s never the same as the ones you see in the shops in London, they have an almost filo type texture, whats the key to that pastry?! Elan, it would be hard to find a recipe for the pastry like the kind you find in Lisbon shops. The reason is the pastry is made in huge, huge sheets of alternating layers of pastry and a margarine-like fat. Then the sheets are rolled into large logs and chilled. The logs, which are about 15 inches in diameter, are pulled and tugged until they’re about an inch in diameter. So that’s what creates all those crazy circular layers. Try this recipe and see if you like it. It does create thin crispy layers. I have made this several times. My small adjustments are I put lemon zest from half a lemon in with the sugar and cinnamon, also I use heavy cream instead of milk. The custard sets up fine as described, than I caramelize the tops with a blow torch. The pastry describe here is fine and does a great job. However, you must work with cold butter and keep it cold or the flour absorbs the butter. The butter is there to keep the layers of dough apart when it bakes – so it is nice and flaky…. mmmmmm. Last note, even when I screwed up a batch–there were no leftovers! Hey, Lawrence. I love your adjustments. I think my readers will get a lot out of them. And I agree completely that the butter remain cold–except for the first step when you smear it over the rolled out dough. After that, it’s chill city. This recipe is the only example that I’ve seen in which butter is first softened then chilled to make a puff pastry. Just made these, was worried as I’m in uk and had to convert from cups, but they worked out great. Just had to thank you, David, I think you’re amazing. Not only for the wonderful recipe, but taking the time to get back to people struggling, or asking for clarification… Bringing back memories of grandparents, going that extra mile. Bravo, David, you are a top guy. You really have brightened my day, and improved my view on humanity in general. I’ll be on the lookout for your cookbooks! Sam, I’m thrilled that the pastéis worked out for you. Yes, it is indeed tricky to do U.S. and U.K. conversions. I just made traditional British pork pies with a lard crust, and I had to try it several times because of the conversions. And thank you for your extremely kind words. You have no idea idea how much they mean to me. After making Marcela’s Bolgonese I knew you had great recipes on this site. I just stumbled upon this recipe while looking at your site and I can not believe my eyes (I subscribed by the way). I just had one of these tarts for the first time several months ago at a Chinese Bakery. I thought it was among the best tasting desserts I have ever tried and I found it quite intriguing. Is the pastry dough basically a puff pastry dough? Also, I visited Portugal in the late early 90’s and tasted the most delicious home cooked meal which was made with rice, baccalau and it had boiled sliced eggs on top, maybe parsley? It was served on a large platter. It was so delicious. I was in my early 20’s at the time and although I appreciated food I was still in college and I did not pay as close attention to food details as I do today, but I still remember that stood out as one of the most delicious meals I had in Portugal. Would you by any chance know a dish that would be similarly prepared? Hello Mrs E. Yes, indeed, that sauce is fantastic, isn’t it? As far as the cod dish, that was most likely bacalhau com arroz. It usually includes onions, rice, olives, and olive oil. A very simple dish. Do you remember if the rice was white or yellow? I’m going to ask one of our recipe testers, Sofia, who is also Portuguese, to weigh in here. Hello Mrs. E. As David already said the dish is most likely Arroz de Bacalhau. It usually is a tradtional meal from the North of Portugal, most specifically from the Minho region. The dish is very simple to make as all it has is dry (salt) cod fish, rice, onions, garlic, tomatoes, olive oil, salt & pepper then decorated with parsley. Let us know if you would like a recipe and I will make sure David sends it directly to you. Hi Sofia! If you don’t mind me asking, I’d love to have the recipe if possible! I’d really appreciate it! Thank you! Just reading these replies. Thank you David and Sofia! Yes, I would love the recipe for Arroz de Bacalhau, if possible the yellow rice and white rice versions. Thank you. I can’t wait to make these for my family tonight as a valentines dinner surprise, with fresh berries and whipped cream on the side. All of the components are in the fridge ready to go as I want to serve these warm as suggested. Wish me luck! David I love your site, you are an inspiration, and I loved your write up about Ina Garten that was featured today. Don’t we all love her? You made me feel as if I was there as I read your account. You are a great writer. Thanks for sharing all of these wonderful recipes. Hi David, I made these tonight and they were delicious and I was thanked by family for this wonderful dessert. The down side of this recipe is that I created an actual grease fire in my oven which was kind of scary. The melted oil dripped away from the tarts as they were baking and onto the oven burner below, I probably should have placed a sheet pan on the second row. Do you ever have escaped grease when baking at the high temp? My mini muffin wilton pan did not have a lip on the edge of the pan, smooth edges all around so the grease just dripped. Any thoughts? Mrs E, can you tell me more about the grease? I’ve never had that happen to me. When you say oil, what do you mean? There’s no oil in the recipe. Hi David, I am a little late in the reply. To follow up on your question regarding the oil dripping when baking, it was the oil from the butter that dripped away from the mini muffin tray. As I recall, I did chill my dough, if my memory serves me correct I chilled for two hours rather than overnight. I am wondering if the dough was not cold enough? Mrs E, the dough could have been chilled a bit more. Was there a lot of dripping? Were you using a mini muffin tin? Yes David, mini muffin tin and enough butter dripping to cause some smoke and a flame in the oven. I did read your suggestion below regarding making the dough not as high up to the top of the non rimmed pan but I love those exposed browned edges of the tart. I think my solution may be to chill the dough and get a rimmed pan. When you make these, do you have any liquefied butter that oozes away from the tarts while baking? Mrs E, no, I don’t have any butter oozing from the pan. Let’s chat on the phone about this and perhaps we can get to the bottom of this. Hi David, Thanks for your accessibility to get down to the bottom of this. I will attempt the recipe once more with the adjustments you have suggested. I will pay closer attention to the chilling time and pan I use, I will make sure to use a rimmed pan. On a separate note, if you have a favorite recipe for Arroz de Bacalhau, I would love it! Mrs E, my pleasure. Let’s see if any of our readers or testers have a recipe for arroz de bacalhau. Sofia? Hello everyone! I am pretty much an amateur when it comes to baking/cooking. Back in January I attempted to make these but failed when trying to roll out the dough. It was extremely sticky and while I was able to roll it out close to the specified dimensions, it was tearing to pieces when I went to fold it over. I kept trying to patch things up but it was getting worse so I just gave up and planned to try it again in the near future. Well, last week I had a bit of free time so I gave it another go. I am extremely happy to report that this time they turned out absolutely amazing! I’m sharing exactly what I did in hopes that it will help anyone else that has run into a “sticky” situation with the dough. Instead of adding all the water at once to the flour, I added it in small amounts until the dough was the right consistency and didn’t get to the point of being sticky. I used slightly less than the “3/4 cup plus two tablespoons water” listed. When I was happy with the dough, I followed the directions EXACTLY as stated and everything went without a hitch! It is sooooo important to make sure you flour your work surface properly. I also placed my marble rolling pin in the fridge for a half hour to chill it since I read somewhere that this helps prevent the dough from sticking to it. Once I rolled the dough close to the specified dimensions, I trimmed the edges using a pizza wheel cutter which I found made quick work of it and kept the edge nice and straight. Of course, a knife will do the same trick. Once the butter was spread on the two-third section, I used my pastry scraper to carefully lift the unbuttered section and fold it over. I then continued with the rest of the steps following the same method. Just be patient and take care not to rip the dough since it is very thin when you roll it out to the full dimension. I made the dough a day ahead so it could chill overnight. The following day, I cut the two logs as close to the specified thickness as possible and placed the cut-ends flat in each well of my mini-muffin pan. Forming them in the well was easy enough…I squished the round down with my thumb and flattened it around the sides. For the custard I followed the recipe/directions exactly as stated and found it to be easy-peasy to make and I had no issues with it. After spooning the custard into the prepared pan, in the oven they went. When the crust was nice and golden I took them out and used a torch to make the tops look pretty. Oven time took about 12 minutes because I kept peeking to make sure they were baking properly and not burning. I hate opening the oven while baking but I spent way too much time with the dough to have it burn on me. I have tried several pastéis from various bakeries and couldn’t wait to compare these homemade ones. I was dying to try one and waiting for them to cool down felt like an eternity. When I took the first bite out of one I was at a complete loss for words. These tasted just like the original ones! Maybe even better!! The shell was so fresh, nice and light, buttery and combined with the custard, they were magnificent! John, Im gobsmacked. Just gobsmacked. I’m so happy you mastered the recipe and enjoyed the pastéis. These are without a doubt my favorite Portuguese recipe. David, my success making these would not have been possible without your guidance and tips along the way. I honestly can’t see myself buying these from a bakery ever again. I will be making another batch this Easter weekend! I’m also going to attempt making the Pasteis de Coco and will let you know how they turn out. The recipe looks straight forward and I don’t anticipate running into any problems. What I do is make several batches of the dough (the hardest part, as you know) and freeze the logs. Whenever I want pastéis, I let a log defrost in the fridge, make the filling, and go for it. AS far as the Pastéis de Coco go, you’ll be fine. That is an easy-peasy recipe. thanks for the recipe! I just shared this post on Facebook. Hi, just wondering about the stirred butter for the pastry – do you measure before or after stirring the butter? I am in the UK so using weight rather than volume and the density of stirred butter is about 1/3 less that that of a block of butter. I am hoping to make a gluten-free version of these for a friend who loves pasteis de nata but has recently had to go gluten-free. Am using an all-purpose gluten-free flour, have no idea whether it will work because of the change of flour and the conversion of units but am going to go for it…. Thanks! Hi, Indi. You stir the butter after you’ve measured it out. The weigh of the butter (8 ounces) in metric is 226.8 grams. I’m curious to see how well the pastries come out using gluten-free flour. Please pop back in and let me know. David! You’re so nice, always responding and helping everyone make these adorable treats! My boyfriend’s family is from Portugal and when I went to New Jersey, we found a shop that carried these that reminded them of home! Thanks to you, I can now make millions of these little babies and give them out to the whole family, a sweet treat that brings back memories. Thank you so much for posting. Micaela, my pleasure. It’s what I’m here for! Hi Richard, so glad that you liked them. The filling should be a firm custard. Not runny, bet definitely not cake-y. Let me know if that helps. Hello David, just getting back to you about the gluten-free tarts – well, they tasted delicious but the pastry was certainly different. When I was preparing the flour and water mixture, it seemed too sticky–was sticking to my fingers (did not have a mixer with dough hook, etc) but not so much to the bowl but I couldn’t transfer it well enough so had to throw in more flour so that it wouldn’t all just stick to the rolling pin or the surface. This was despite the gluten-free flour mix that I used (Doves Farm white all-purpose for UK readers) advising to use slightly more water than recipes recommend for wheat-flour recipes, which I don’t think I did but I was not at home and the measuring jug and weighing scales were possibly a little off. I think that that was my mistake though as it was then really floury. Then, when rolling, there were times when the pastry was cracking and seemed too dry. It was a bit tricky but I just tried to do the best that I could do. However, it was a struggle again for making the log and it probably wasn’t thin enough or rolled tightly enough. However, the final result, though not exactly right as I didn’t have the layers, tasted beautiful and was a hit with everyone! I don’t have fantastic photos but would like to show you how it looked. Thanks a lot for the recipe, even though it didn’t work out perfectly, it still tasted amazing! Indi, glad to hear the GF version worked for you. You can upload the picture here. And in the future, you’ll find a link right above the comment box that opens the uploader. thanks for the great recipe, there are these other kinds that are made with bean i believe but most bakeries have them avail in orange, almond, beer, bean and sometimes other flavors, although they have the same sticky soft moist texture and I think, some make it with no shell at all, the filling itself seems to form a shell while baking whereas some make it with a very thin shell…. do you know what I’m talking about? You would be my hero (and the only one on the net so far as I’ve seen in all my searching!) if you posted a recipe with these including the different flavor variations. These recipes are all in Portuguese. I use Chrome, and I find that if a page is in a foreign language, Chrome will ask me if I want the page translated. will let you know how these recipes turn out. Superb, Jayme. Send pictures, too! David, I returned from Lisbon a few weeks ago, determined to try the delicious Pasteis de Belem I sampled there. I was thrilled to try this recipe! The resulting tarts were just delicious, except the crust was a bit tough. I’m thinking I must’ve used too much flour when rolling and buttering the dough. Also, as one other poster mentioned, once in the oven, the liquified butter from the tarts splattered and spilled onto the bottom of the oven and caused quite a lot of smoke. Do you have any suggestions for correcting these two problems next time? I will try them again, just to impress my traveling companions! Laurie, so glad you liked the pastéis. How I wish I could make the EXACT pastéis served at the Confeitaria de Belém. I’d be rich! Regarding the toughness, how long did you let the dough rest? Also using less flour when shaping and rolling is the best way to avoid tough pastry. Mine are usually very crispy and the shatter sometimes. As far as the butter spilling out, you can make these in a larger tin but go only halfway up the well wall with the pastry. That way if there is an overflow, it won’t spill out. In Lisbon, they have special molds that sit on large trays so that if there is overspill, and there is, it’s caught by the try. So you can do something similar by sliding a rimmed baking sheet in the oven before preheating then place the tin on top. If it does spill over, at least it’s not spilling on your oven floor. I’ve been making these pasteis on a fairly regular basis with continued success. I have a quick question which is more out of curiosity than with the actual recipe. Why is the dough only rolled out three times? I understand it’s to create layers but why not roll it out more than three times? Would there be no added benefit to this? Hey, bikerunbake. My understanding is that because there is so little dough, any more rolling would defeat the layering because it would all schmoosh together. (Schoosh is a technical baking term.) In Portugal, especially at the Confeitaria de Belém, they make the dough ns huge amounts and can afford an extra turn. But even in classic French puff pastry, there are only four turns. Thanks David! That makes total sense and the last thing I want to do is “schmoosh” it all together :). I made three batches (in full-size muffin pans) this past weekend for a birthday party where the majority of people (my family) are Portuguese. EVERYONE absolutely loved them and couldn’t believe they were homemade. Some even sneaked a few to take home with them! What a great feeling and such a compliment to your recipe. Thanks again. Sr. Pereira, you made my day! Thank you. HI David, I just made these and they look great but is the pastry supposed to THAT crisp and hard? When I made the dough at the start I had to add a lot more water to get it to form a pillowy-soft ball. I also kneaded it for quite a while but did manage to let the pastry rest in the fridge overnight. Where did I go wrong? Thank you! Get HO, the pastry should be crispy, but not hard. I suspect it was the extra water that did it. What kind of flour were you using? Hi David – I’ve been making these with your recipe since returning from a trip to Portugal a few years ago. They may be my favorite dessert ever. Thank you for the wonderful recipe. I just made a double batch in normal-size muffin cups over the weekend, and everything turned out fine. But I was trying for those “Belem spots” on the top by putting the try under the broiler for a couple of minute at the end. Unfortunately, the pastry started to get too brown before the custard even started to color. However, I thought of another idea to run by you — I’ve been cooking bread and pizza in the barbecue for years with great success with a thick pizza stone (homemade with firebrick). The BBQ easily gets up to 700+ degrees. I realize the bottoms of the pasteis could easily burn, but, in the past, I’ve circumvented this issue baking other items in the BBQ by putting that thick pizza stone on at the same time as the baked goods. Have you ever tried something of the sort? Kathleen, I haven’t tried that, but it’s worth a shot. Where I thought you were going was to use a kitchen torch, similar to the torches used for crême brulée. My only concern with your method is how cooked the bottoms will be, as, unlike bread, the pastéis cook for so little time. Will you give it a try and report back to us? Will do, David. I was wondering about the bottoms myself. For bread, I preheat the stone for 15 minutes with all 3 burners and the searing station on high, but boy does that crust turn out nice. Guess I’ll just have to suffer through eating multiple batches so I can experiment with exactly when to put the bread stone on! I’ll let you know how it goes. Obrigada! I made these last night. Absolutely fabulous. Do you think that the creme brûlée torch would work? So glad you liked them, Julia. The torch wouldn’t work to cook them, but to give it some extra brown spots on top, yes. Hi David. 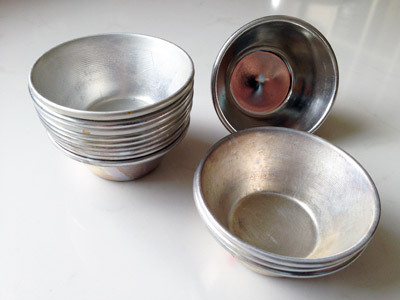 I just ordered the aluminum custard cups from ebay. Will I need to spray them before placing in the dough? Also, I am a perfectionist and I want the dark spots. Can I use a food torch? Lynn, I would spray them lightly, but it will make it harder for you to stretch the dough. Also, you’ll need more dough per cup because the cups are bigger than the wells of a mini muffin pan. And, yes, you can use a torch to spot the top of the pastéis. Okay David. Thank you so much! I will let you know how they turned out. Does it matter if you use sea salt or regular table salt? Want to try these for my dad’s birthday he is from Portugal. costa, no that little bit won’t matter. Send your dad my best wishes for his birthday. Hey David. I’ve been trying to master these in my workplace kitchen. i have not yet tried your recipe but will be trying it very soon. So far i have been using commercial puff pastry and haven’t got the crispy texture i want. I was just wondering, some recipes roll the dough into a log like yours and then push and roll out the dough using a rolling pin, do you think it is better to hand mould them or would it have no effect at all? could that method be done with your dough recipe? Thanks. kaila, thanks for writing. I think commercial puff pastry has too much flour in it, from what I’ve experienced. The dough in my recipe is far crunchier because the layers tend to be thinner. I don’t think the jelly-rolling, slicing, and rolling out with the rolling pin would work well for my recipe. Nor is it how they do it in Portugal. There seems to be something in the technique of using your thumbs to coax the dough up the side of the well. 1. I dont have a stand mixer or a food processor, so how can I mix these by hand without over working the dough? 2. I also dont have a candy thermometer, is there anyway to make the custard without it? Cassandra, you can use a hand mixer or you can use a wooden spoon. You’d just have to mix it more than 30 seconds or so. I don’t suggest working without a candy thermometer. It’s incredibly helpful in the kitchen and it will assure the pastéis are cooked to the right temperature. Otherwise they can get curdy. David, greetings from Singapore! I’m just wondering, is that the correct amount of sugar? I’m known to have a sweet tooth but even I find the custard way way way too sweet. 1 1/3 cups of sugar is about 300 grams right? I must be doing something wrong because absolutely no one else has commented about it. I’m using the normal granulated sugar. I know I can just reduce the sugar amount but I’m highly curious to find out why no one else has a problem with it. Is the sugar in Europe is less sweet perhaps? Thanks! Hi Phillip. It’s about 270 grams. But don’t forget you have more than double that in liquid ingredients. Portugal is know for “tooth-achingly sweet” desserts so it is the correct amount–at least for this recipe. You might find others that call for less sugar. Thanks David for the prompt reply. I have come to terms with the sweetness by reducing the sugar slightly, It turns out great! I do have another question however. Do you know the size of the pasteis at Antiga Confeitaria? What kind of ‘cups’ do they use to bake the pasteis in? Is there a proper name for it? That’s good to hear, Phillip. Can you tell me how much less sugar you used, for those interested in lowering it? And as far as the tins goes, I don’t know of a special name for them. I’ve always called them “pastéis de nata tins.” The ones the Confeitaria uses have a 1/4 cup capacity (see the picture). I bought mine about 10 years ago at Tucha Gifts in Newark, NJ. Back then they were about $1.70 each. Realize if you use these, the cooking time and yield will differ. Well I reduced it to 200 grams. Still on the high side of my sweetness range but at least it’s in the range. Thanks David for all the help! David, congratulations on a spectacular recipe! I just returned from Portugal back to NZ two weeks ago. A highlight for me in Lisbon was the Belem bakery Pastéis de Belem and these sweet treats. A must try. Hence on my return I looked up a recipe an found yours. I cheated and used filo pastry but followed your custard recipe to the letter. I have to say that the resulting taste is bang on. Thank you so much, awesome! Thanks for the kind words, Tony. I’ll forgive you for using phyllo pastry, It’s not exactly easy to make the pastry in the recipe. But so glad that you liked the filing. These little babies are my favorite Portuguese dessert ever. Hi jem, no I don’t. Not at the moment. Sorry. Hey, David. The recipe sounds amazing i’m going to have to try it first thing tomorrow, unfortunately my oven only goes up to 250°C, would it be ok if i just bake them longer, or would they not come out right? Hey, Nick. I wouldn’t bake them longer because they may overcook. Instead, bake them in the upper third of the oven. That should take care of everything. Remember, though, these are mini tarts. (The photo is of the regular-size tarts.) If you have the tins for the larger pastéis, you’ll need to cook those longer. I just made these and my custard was slightly chunky :( I followed the recipe exactly. I only made a few because I wanted to make sure they were right. How can I make the custard party creamier? I didn’t use all of it to see if I can add something to fix it. Hi Maria, when you mean chunky, do you mean grainy? Chances are your oven is too hot. Do you have an oven thermometer? You can’t rely upon the readout on most ovens. Also, how long did you bake them? It is like creamy with chunks of custard. It was starting to burn the outside of the pastry but the custard was not browned. They were still amazing. I baked for 20 min until I saw the outsides starting to burn. Maria, I think you baked the custard too long. The recipe says 8 to 9 minutes. These are made in mini muffin tins, and 20 minutes will definitely overcook the filling and singe the pastry. can you but store made pastry cups instead of making your own dough? Michelelle, you can actually buy the entire dessert at Portugalia Marketplace. I’m not sure if they ship. I’ve been using your recipe for a while now and I’ve got to say it is an absolute winner. Over the years I’ve eat more than my fair share of natas and the ones I make using your guidance are simply brilliant. Every time I make a batch I am struck by what seems to be little short of magic. I’ve had a real good search through as many nata recipes on-line and in cook books and none I’ve seen come close to yours. Natan, thank you very much! I’m delighted you like them as much as you do. Tell me: Do you make them in the mini-muffin pans or in regular pastéis forms? I needed to make a Portuguese food for my 4th grader to share with his study group when they did country reports. I was all set to make Caldo Verde (a personal favorite — also easy!) but the kid lobbied for these instead. They were a huge hit! One of my son’s friends even asked me if I would make them for him for his birthday. It was my first try at making puff pastry and your directions were great. I did have some trouble with the dough tearing in spots because it was so thin, but just kept finessing it, and it all worked out in the end. I felt like a genius when it baked up with the thin layers showing around the edges of the tarts! I used my thumbs to begin shaping each slice of dough, as directed, but found that my pointer fingers worked best for getting it nicely shaped. Short fingernails are a must for this. I somehow got 45 mini tarts out of this and still had a full cup of the custard mixture left over. I poured it into a well-buttered loaf pan so that it made a layer about 3/4 inch deep and baked it until set (about 10 minutes), oven temp turned down to 400°F, after all the tarts were out. Thanks for a delicious, successful recipe! emmegebe, how wonderful to hear! I love when kids are introduced to food at an early age. Do you by any chance have pictures?! The crust of the ones I made were quite hard and I don’t know why. I need HELP PLEASE!!!!! Whitney, just to be certain: They were hard not crunchy? A few things. 1.) You used the correct amount of water? 2.) Did you refrigerate the dough the full amount of time? 3.) When you sliced the logs, did you notice an even spiral of butter and flour? If the answer to all of those is, “yes,” you might not be used to working with puff pastry. In that case, I’d suggest using commercial puff pastry instead. Simply roll out one sheet, coat it with a thin layer of butter (so it will adhere), and roll it up as specified in the recipe. Chill it and cut into the correct size pieces. Well. I’m a baker at heart. So, when I find one that works the very FIRST time, I think it’s great! This recipe is wonderful!! came out perfectly, exactly like I wanted it and how it’s supposed to be. Easy step by step instructions make less intimidating. The only bad thing: the little tarts are bite size and tend to disappear quite fast… Nice problem to have! Thank you David! I’ll make this recipe many times more. Rosa, first, the picture is gorgeous. Second, I adore you. I want to marry you–I don’t care if you’re already married. We can work it out. (The One won’t mind too much.) All kidding aside, thank you for the kind words. They went right to my heart. I can’t wait to make some of these! I was looking at a magazine that had a picture of delicious looking Portuguese Custard Tarts and when I Googled for a recipe, I found yours. Apart from my delight at finding it I’m loving reading the questions and your lovely responses! Thank you! Catherine, thank you for your lovely words. I hope you like the recipe. These are mini pastéis, as the recipe says, so the final product is a bit different from those glorious ones at top, which are from the bakery in Portugal! I found your recipe a year back and always wanted to try making it because these are my favorite desert to buy when I visit my family in Portugal. My aunt has always discouraged me because apparently they are extremely difficult. Since I am a pretty decent cook I decided to try them tonight. I used the proper tins from Portugal and found that I needed to dot the dough with the fork a little because the pastry did blow up a bit in my trial run. I also found that the temperature was a little bit too high because my oven automatically turns 500 f to broil… I lowered it to 475f and found that it fixed the problem. Thank you again and I will look for your book! Vanessa, you are more than welcome. And thanks for your tweaks. They might be able to help others–and that’s what we’re all about! Thank you so much for this recipe! I went to Portugal a few years ago and had these in Belem, and was so happy to find the recipe on your website! I made them for Christmas Eve this year and even though I was sick and run down, I didn’t find this too complicated. They were a huge success! Such a lovely and simple dessert!! Thanks again!! I wonder if I can use a vanilla pod if I don’t have any vanilla extract? Hello, Ulla. Sorry for the late reply; I was abroad. You really can’t use vanilla pods, as you won’t get the same flavor. But you can make your own vanilla extract with this recipe.